Wyred 4 Sound's $4500 system with their W4S mINT integrated amp, MartinLogan Motion 15 speakers and Dynamo 700 subwoofer ($1499, $799 and $799 respectively). Source units were the new W4S bLink Bluetooth Reclocker and W4S Music Server MS-1 ($499 and $1999 respectively). So what makes the Wyred 4 Sound mINT so special you ask? 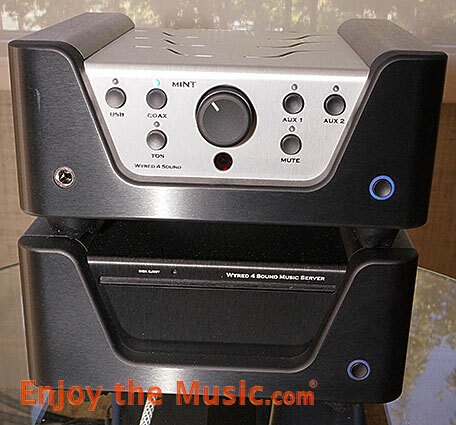 Well, it uses the ESS Sabre DAC, has a 0.5" machined aluminum front panel and produces a powerful 100 wpc. 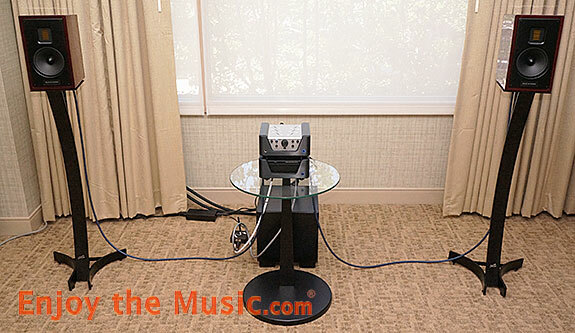 There are two pairs of gold-plated RCA jacks so you can run an amp and powered subwoofer at the same time. It also has a headphone amplifier too! They use a true resistive ladder volume control to ensure high quality sound.